This is a great quick assessment or quick activity to use when working on writing numbers in standard, expanded, and written form. 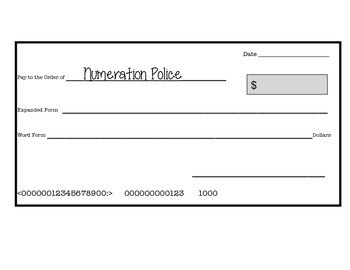 Students have the opportunity to come up with their own number and write a check out to the numeration police. My kids really enjoyed this fun activity.